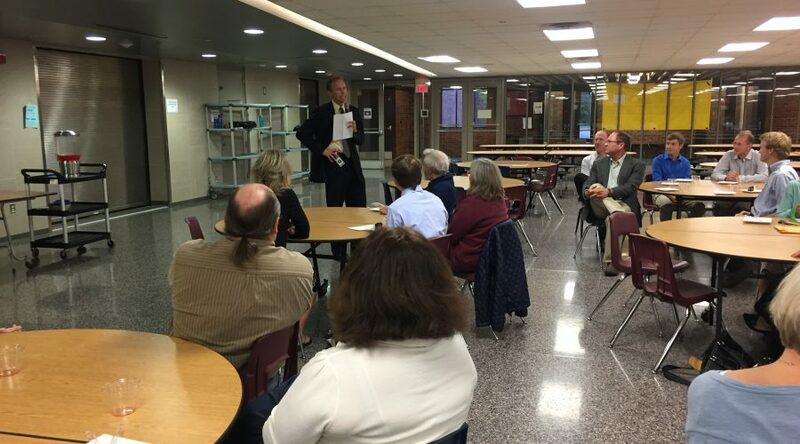 The School Board hosted the annual National Merit scholars reception prior to the Board meeting on Monday evening. This is one of my favorite events of the year. It was especially meaningful to our family this year because our son, Jackson, was recognized as one of the Commended Students along with five other Northfield High School seniors. Four students were honored as National Merit Semi-Finalists. Part of the long-standing tradition with the National Merit scholars reception is for the Semi-Finalists (top 1% PSAT scores in the nation) and the Commended Students (top 2.5% PSAT scores in the nation) to recognize a teacher who had a significant impact on them during their school career. This year students selected teachers from all levels of the system — Elementary, Middle, and High School. One student selected a teacher who had served as his coach, but not his teacher. As the students spoke about their selected teachers, it was clear the students didn’t choose them because of their academic content prowess – though all said that was an important component. They each shared how that teacher made them feel. This reinforces, once again, the power of building and maintaining relationships with students. It is the part of what we do as educators that will outlive us. We have returned to a focus on building positive relationships with students this year. Yale professor James Comer says “No significant learning occurs without a significant relationship.” When students feel connected with their school, they have a springboard propelling them towards achieving their potential. The student speeches at the National Merit scholars reception exemplifies this fact. Can you think of a teacher who made a difference for you? Reach out to them and tell them…you will make their day!